Based on NVIDIA's Pascal architecture and designed to handle the graphical demands of 4K gaming, the EVGA GeForce GTX 1080 Ti iCX GAMING Graphics Card provides major improvements in performance, memory bandwidth, and power efficiency over its predecessor, the high-performance Maxwell architecture. It also introduces innovative graphics features and technologies that redefine the computer as the platform for playing AAA games and taking full advantage of virtual reality via NVIDIA VRWorks. The front panel of the card features a variety of outputs. There are three DisplayPort 1.4 outputs, an HDMI 2.0b output, and a DVI-D Dual-Link output. The GTX 1080 Ti is not just about high-resolution gaming. Computationally intensive programs can utilize the GPU's 3584 cores to accelerate tasks using CUDA or other APIs. 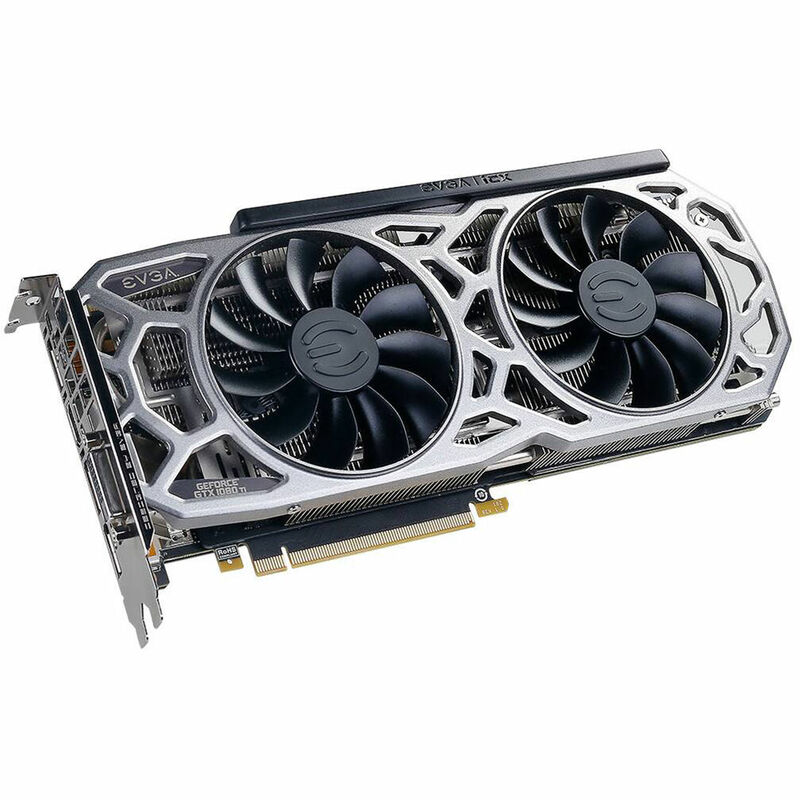 This GPU has an adjustable RGB LED that can be controlled in EVGA Precision X OC. EVGA implemented iCX technology, which is more than just a cooler. It features 9 thermal sensors and multiple MCUs. It also allows for asynchronous fan control. The left fan can be determined by the GPU temperature while the right fan can be determined by power/memory temperature. You also have full control in EVGA Precision XOC. EVGA also installed a fuse that adds another layer of protection to your card and system. The dual double ball-bearing fans and the optimized airflow fin design provide the airflow your GPU needs in order to stay cool.